As a historian, I have studied how faith intersected with the Enlightenment -- the British Enlightenment of the seventeenth and eighteenth centuries. The Enlightenment as a movement emerged as Europe tried to emerge from more than a century of conflict. The Enlightenment gave birth to the Modern Age, of which we are heirs. For some Enlightenment and faith cannot coexist. Martin Marty, who recently celebrated his 90th birthday and the 20th anniversary of the Martin Marty Center offers a response to one writer who sees faith and Enlightenment as incompatible, offering his hope that one can embrace both. I invite you to read and while you read, may we all give thanks for the long witness of Martin Marty. “Are the ideals of the Enlightenment too tepid to engage our animal spirits? Is the conquest of disease, famine, poverty, violence and ignorance … boring? Do people need to believe in magic, a father in the sky, a strong chief to protect the tribe, myths of heroic ancestors? Pinker observes, quite accurately, that today “the left and the right concur on one thing: The world is getting worse.” He wouldn’t be Steven Pinker if he did not throw in a line about how those on both sides look back to a time when, among other things, “people found meaning in religion, family, community and nature.” Again, he is not inaccurate in that observation. But what about those of us who are grateful for the gifts of the Enlightenment and also for what he dismissively characterizes as belief in “magic, a father in the sky?” Where do we go from here? 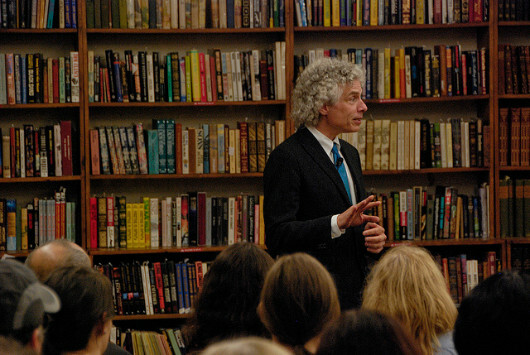 Many of us who “sight” and cite the Enlightenment, as well as not “magic,” but faith, owe much to Pinker and those other Enlightened ones who, for the past two or three centuries, have merited our awe and gratitude for “applying knowledge and sympathy to enhance human flourishing.” And we give much thought to how we might relate simultaneously to both of these traditions. Colleague and sometime co-teacher David Tracy collegially taught me to be aware of the limits to all human existence and events. He stressed that we must learn to live with “finitude, contingency, and transience.” If awareness of those three is not enough to kill “optimism,” what could? By the same token, why must “faith” and “Enlightenment” be seen only as contradictions of each other? Most sentient humans, as individuals and in groups, find sundry ways of being, thinking, and acting. 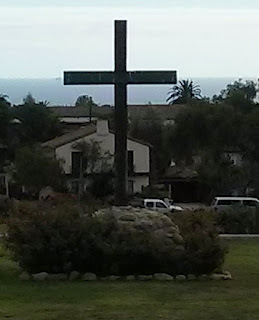 In my faith tradition we speak of the human creature as being simul iustus et peccator, “at the same time righteous and a sinner.” Which of these sides of our humanity manifests in various circumstances depends upon what kinds of questions are asked, and what perspectives and intentions are in play. This life-long member of the “simul” club will continue to see himself as an heir of both the Enlightenment and faith traditions, and, simultaneously, as a grateful critic of Steven Pinker, as he continues to nurture the Enlightenment project.